Are you ready to bring your photography business up to the next level? Our Photography Training Program & Workshops in San Francisco are focused on how you can make your photography business profitable. We will equip you with the tools you need to succeed as an entrepreneur and artist, just like we have managed to do here at JBJ Pictures. This three-day intensive workshop has been designed to provide you everything you need to start or refresh your dream photography business. Led by Jean-Baptiste, founder and lead photographer of JBJ Pictures, you will come away with newfound knowledge and inspiration. Our Promise: You will leave our workshop feeling like an entrepreneurial rock-star. Technical training to feel comfortable behind the camera & to perfect your shooting style. Interpersonal training to help you interact more comfortably and more confidently with your clients and industry partners. Sales training to help you value yourself and your work properly and book more clients as a result. Online marketing training to help you improve your current SEO and advertising strategies. Personal development training to tear down any insecurities you might be struggling with. You are worth it and we will prove it to you. Social media training to help you take advantage of the amazing opportunities presented by Instagram and Pinterest. Brand development training to help you create a consistent brand that will attract your ideal clients. Financial goal training to de-mystify the world of pricing, revenue, expenses, insurance, and retirement. These are just a few of the topics that we’ll cover throughout the training session. We will also end every session with a glass of French wine and an open session to answer your questions! Training Programs Start at $2,495. Schedule Your Training Program Today! Yes, you can actually make a great living doing what you love. By focusing on the greater good and serving your ideal clients with exceptional service, it is possible to live comfortably as a creative professional. We’ll share our strategy with you on how we managed to create a 6-Figure photography business within 2 years of creating our company, and how to avoid the revenue plateau that many small business owners face. The key to a successful photography business is finding your “tribe.” The ones who love not only your work, but you as an artist. We’ll explain how we’ve managed to consistently receive leads from our ideal clients and how to give your business a better chance of being found within a large crowd of talented photographers. Wedding days can be stressful, period. However, after shooting countless weddings in a variety of lighting and weather conditions, we have created a flow that keeps us calm and full of energy. 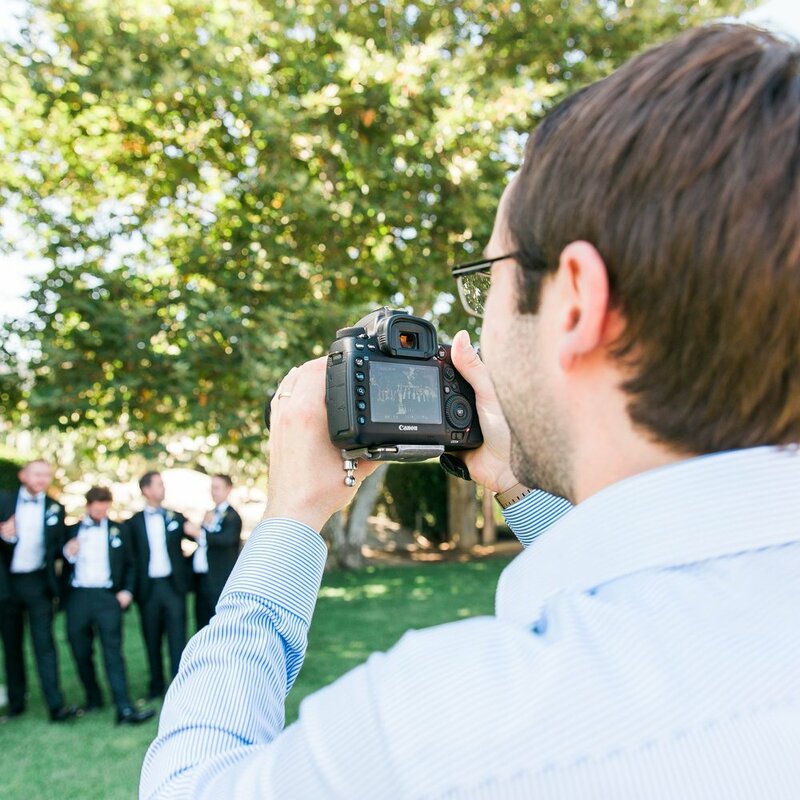 We will share our top tips for day-of wedding photography and most importantly, how to make sure your clients are happy before their special day, on the day of, and after their wedding when you deliver their gallery! We never could have imagined the impact that Instagram and other social media platforms have had on our business. But now, with undeniable evidence and amazing weddings on our calendar, we are believers. We will share our social media journey with you, including the numbers and the methods we used to achieve them. 60% of our destination weddings in 2019 were booked from leads generated organically from Instagram. Pretty powerful stuff. You are worth it and we will prove it to you.